1/8 inch diameter. Peel-off, self adhesive transparent dots do not obscure underlying map detail. 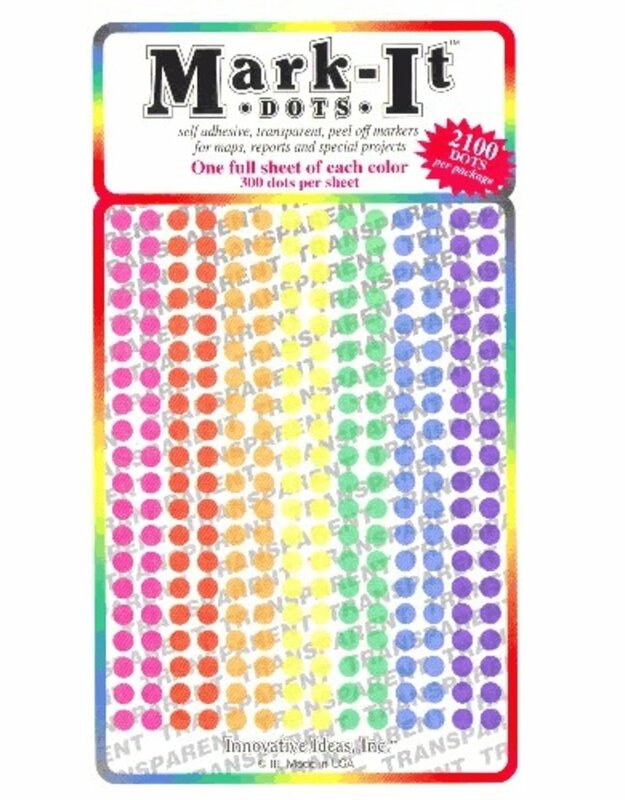 300 each of 7 colors: Pink, red, orange, yellow, green, blue, purple. 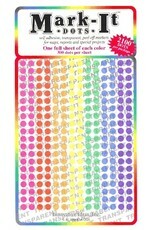 2100 stickers per package.